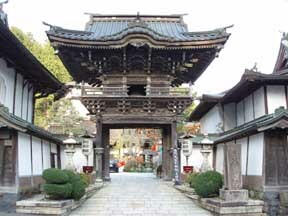 Temple Lodging in Japan "Fugen-in"
I have heard that when Prince Kakuo climbed Mount Koya in the 12th century, he was given a Fugen Bosatsu statue from Priest Rikiha. 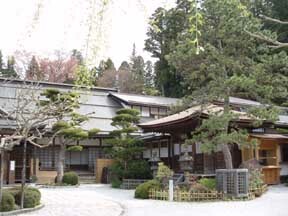 They serve authentic shojin vegetarian foods consisting mainly of mountain foods, including sesame tofu, a specialty of Mount Koya. If you make a reservation, you can eat a special plate. Also, the beautiful vermilion-lacquered Fugenin Shikyakumon in the Shikyaku-hirakaramon style is an important cultural asset.